NAIROBI, Kenya (AP)  Morris Kaberia was on Kenya's death row and feeling suicidal when he came across a program that eventually set him free. The former police officer had been imprisoned for violent robbery, and his protests that he had been framed went unanswered. Then he heard about the African Prisons Project, which is turning even illiterate prisoners into their own legal advocates in countries where such assistance is desperately rare. In September, the 47-year-old was released after representing himself in court. He is now pursuing a law degree from the University of London. "Joining the program is actually the thing which gave me my life back," he said. "I saw that there is a possibility of thinking big ... that the walls cannot limit me." Eight hundred prisoners have been freed this year alone as of October, project spokeswoman Peggy Nyahera said. The project in Kenya and neighboring Uganda was founded in 2007 by then-British law student Alexander McLean, who was volunteering in Uganda when he witnessed the sorry state of inmates. Many are illiterate and poor, with little resources to represent themselves. Under the project, inmates who need it are mastering basic literacy and then encouraged to study law. Project staffers and inmates role-play in mock court situations while law students act as judges. "Last examination we did in May, we had a distinction from this prison. 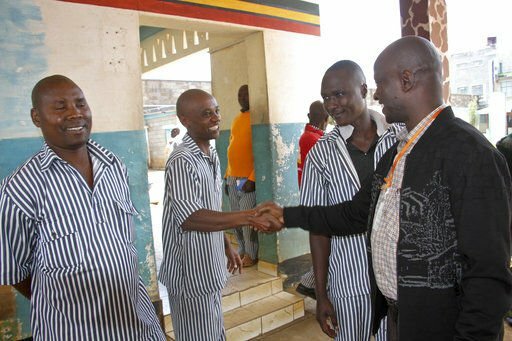 We had somebody who had a 72 pass mark grade, which is a distinction under the grading of the University of London," said Hamisi Mzari, a legal aid officer with the project who works with inmates at Kenya's Kamiti Maximum Prison. The experience can transform inmates and change how others treat them, Mzari said. "People are now seeing that the people whom we took into prison, whom we had considered that they are the litter and the garbage of society, they are now coming out as polished gold." The prisoner with the high score in May, 45-year-old George Karaba, had been charged with murder and sentenced to death. He says he had lost hope. Now he's applying for a presidential pardon and has become a trustee, with a leadership role among his peers. Currently 60 prisoners are studying for University of London Law degrees via correspondence from 30 prisons in Kenya and Uganda, the African Prisons Project said. The work is supported by the Queens Commonwealth Trust. The project also helps former prisoners into positions where they can work to revise what they call unjust laws. Huge challenges remain. Internet access is limited by lack of resources and security restrictions. Even basic classroom facilities are hard to arrange. Still, the project hopes to establish a law college in Kenya's Naivasha Maximum Prison in 2020 with the aim of expanding legal services to some 10,000 inmates. About 5,000 prisoners have received training or services so far. 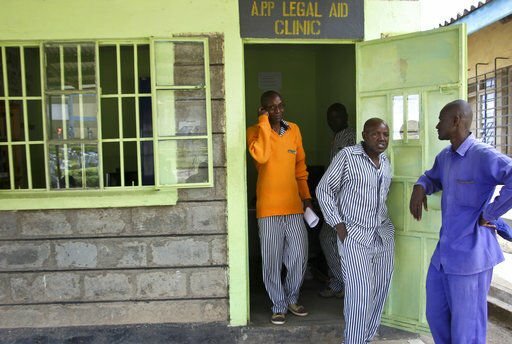 "The African Prisons Project has enabled the prisoners to have a better understanding of their case and a better way of presenting it before court, hence the improved success rate of their cases," Kenyan High Court judge Luka Kimaru said.